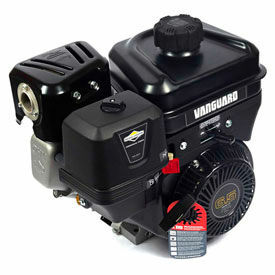 Briggs And Stratton Gas Engines Are Used As Replacement Motors In Lawn Mowers, Snow Blowers, Log Splitter And Other Small Engine Applications. Gas Engines are built with reliable components for long lasting durability and performance. Gas engine motors feature a dura-bore cast iron cylinder sleeve to provide resistance to wear and abuse and extend engine life. Dual clean pleated paper air filter provides superior protection for extended performance. Lo-tone muffler reduces noise output levels. Additional features on some models are low oil sensor, low oil shut down, 9 or 16 Amp charging system and dual circuit charging system. 5.50 ft/lbs HP to 24 HP motors with Recoil or Electronic Start available to meet small engine specifications. Specifications vary by model. Gas Engines Provide Maximum Efficiency And Performance. Gas Engines perform with minimal noise and emissions, and are perfect replacement motors for lawn mowers, snow blowers, garden tractors and more. Gas engines are available in a wide range of maximum output levels ranging from 4 HP up to 16 HP, with Recoil Start or Recoil/Electric Start. 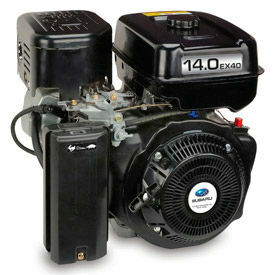 Gas engines are available from a variety of trusted brand names.